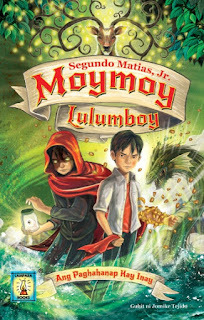 Manila, Philippines -- Get ready to be transported back to the magical world of Gabun and the travails of Moymoy Lulumboy as Lampara Books brings you the third installment following the saga of the "Batang Aswang". Moymoy Lulumboy: Ang Paghahanap Kay Inay hits the shelves beginning September 17, 2016 in a grand launch at the SMX Convention Center, coinciding the 37th Manila International Book Fair. 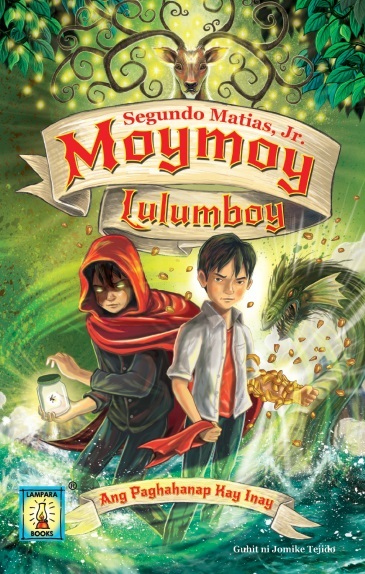 In this book, Moymoy is able to save his twin brother Alangkaw and their childhood friend Hasmin, a manananggal. Having found out as well who their mother is, and where she may be found, the twins embark on a mission to save her by following certain missions as bidden them by Ingkong Dakal, the guardian of the Gabuan acrchives. Will Moymoy and Alangkaw be able to accomplish the tasks and eventually be reunited with their mother Diyosang Liliw at last? Penned by champion of original Filipino literature for the youth and Precious Pages Corporation stalwart Segundo "Jun" Matias, Jr. with illustration by award-winning visual artist Jomike Tejido, Moymoy Lulumboy: Ang Paghahanap Kay Inay will surely be a new favorite for Filipino readers to read over and over until next installment.